They may be set up as a Roth IRA or traditional IRA, and would then entail the same tax advantages and obligations as standard forms of those retirement accounts. So a Gold IRA set up as a Roth IRA would be taxed now, while a Gold IRA set up as a traditional IRA would be taxed at the time of withdrawals. You can roll qualified retirement plans, such as a 401(k) or 403(b), from previous employers into a Gold IRA without penalty. In addition to gold bullion, you can also invest in silver, platinum, and palladium, thereby giving you even more ways of protecting your portfolio against market fluctuations and currency instability. 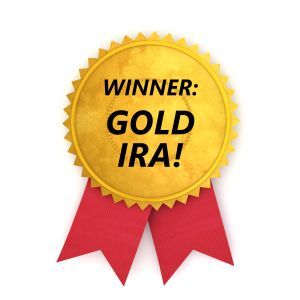 You actually become the owner of all gold and other precious metals in your IRA. When dealing with American Bullion, you never purchase a paper-backed asset, but rather physical gold, silver, platinum, or palladium that will be insured and stored for you at a secure depository. These facts should help clarify what a Gold IRA is and how it can strengthen your retirement portfolio by providing diversification options and protection against market forces. If you still have questions, please contact American Bullion today at 1-800-465-3472.